Here in Seattle, the winter blahs surround us at this time of year. Especially as we are seeing one of the wettest February's in our King County history. We’re halfway through the heating season, at least on paper. This mid-point in the season is a great time to change your furnace filter, or if you have a ductless split system, to clean your filter. Our HVAC Specialists explain why. The Furnace Filter’s Role is Important. Indoor air in the winter can accumulate all kinds of unhealthy particles. When the doors and windows are shut, dust, pet dander, germs and more get locked inside with you. In fact, you may have heard about an EPA report saying that indoor air in winter can be more polluted than outside air. It’s true! You don’t want to breathe in those particles, and neither does your furnace. Your furnace fan blows heated air through the ductwork and around your house. 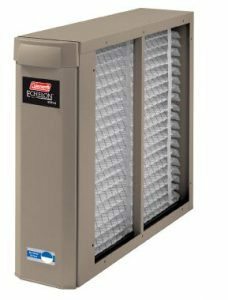 As the air flows, particles, dust, pet dander, and bacteria are trapped in your furnace filter. This filter serves a dual purpose, keeping those particles out of your lungs, and also keeping the furnace clean. A cleaner furnace will burn more efficiently, and not experience as much wear and tear, thereby protecting your investment. The majority of today’s gas or propane furnaces have manufacturer recommended filter changing schedules of every three months. So, if you started up the heat in October or November, now would be a good time for a clean filter. Just be sure to use the size recommended by the manufacturer. Most modern furnaces use 4” filters. They are recyclable and don’t require special handling. You can just drop them into your recycling bin. If you are concerned about additional germ and bacteria removal in your home, you may want to consider adding a UV light to purify the furnace coil area. Your Fox HVAC Specialist can install this for you to improve your indoor air quality. UV light technology is used by hospitals to kill germs, and home heating systems can be retrofitted with UV lights. 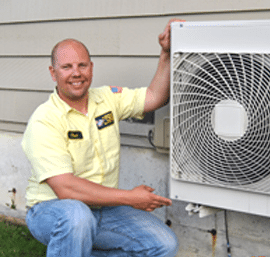 Your Ductless Heat Pump needs its filter checked at this time too. Unlike a furnace, ductless heat pumps typically have removable screens that you can lightly brush or rinse. They are pretty delicate so only brush them with a soft paintbrush or rinse with cool water. These filters should be checked monthly during the heavy use winter period. They are easy to remove and replace. Shut off the unit and follow the directions on your manufacturer’s manual. If you lost the manual, you can contact Fox for information or visit the manufacturer’s website. Your filter change will make everyone in your home breathe easier. To purchase filters or set up an appointment with our HVAC Specialists, talk to Fox today.